It’s a cool thing that the 5th Generation iPod Nano has an integrated video camera that you can take casual clips with friends and family, but what about when you are near the sea or a swimming pool? We know that iPods and water do not mix, but a nifty accessory could change that. 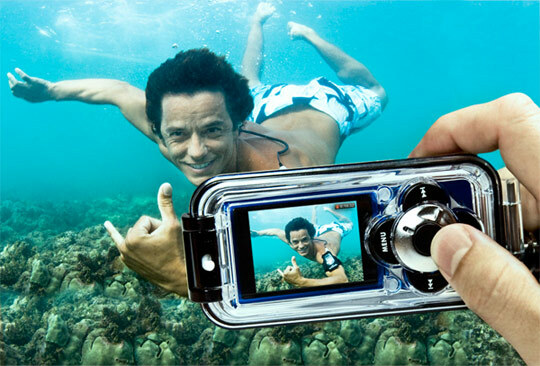 The H2O Audio casing turns your iPod Nano into a convenient underwater camera, enabling you to take pictures and videos down to 12 feet of water without having to worry about ruining your gadget, thanks to its integrated polycarbonate lens. Not only that, the H2O Audio can also waterproof the iPod’s headphone jack so you can listen to music near water without the risk of damage. You even have full access to all controls of the iPod Nano. The H2O Audio casing for iPod Nano comes with a sports armband and beltclip. It is now available for purchase over at the manufacturer’s website, costing US$79.99.